Karl Lagerfeld has nearly set the world of fashion on its head. 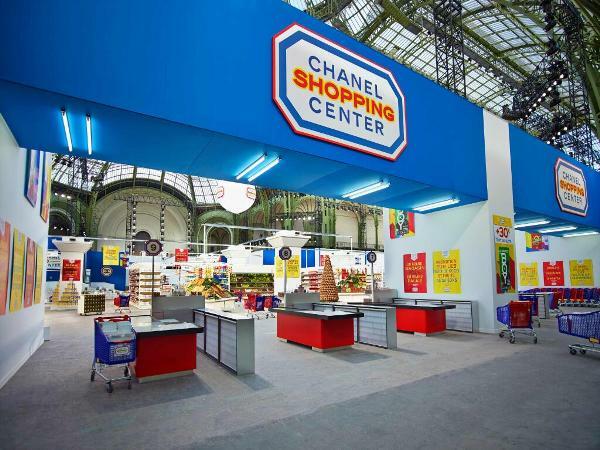 Chanel and supermarket are not two things we'd usually put together but Karl Lagerfeld, head designer of the chic design house, brought them together beautifully. “Luxury should be worn like you’re going to the supermarket. It’s the pop art of the 21st century,” he said. 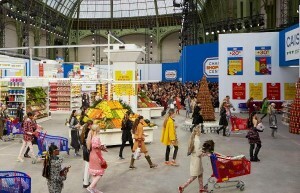 Lagerfeld has set the most elaborate stage for the Chanel fall/winter range in Paris. He had a “Chanel Shopping Centre” constructed across several hundred square meters of Paris Grand Palais. The “supermarket” was wonderfully accurate, with trolleys and fresh produce and products with names such as “Tweed Cola” and grilled bread marked CC. Fashionistas loved it so much that at the end of the show when Karl magnanimously said they should partake of the goods, they went crazy! Security had to be called in as, quite literally, everyone in the place was removing everything off the shelves. At the exit bags were searched but one lucky or crafty fashion editor made off with a Chanel doormat. Well, now we know where celebrities buy their bottled water.